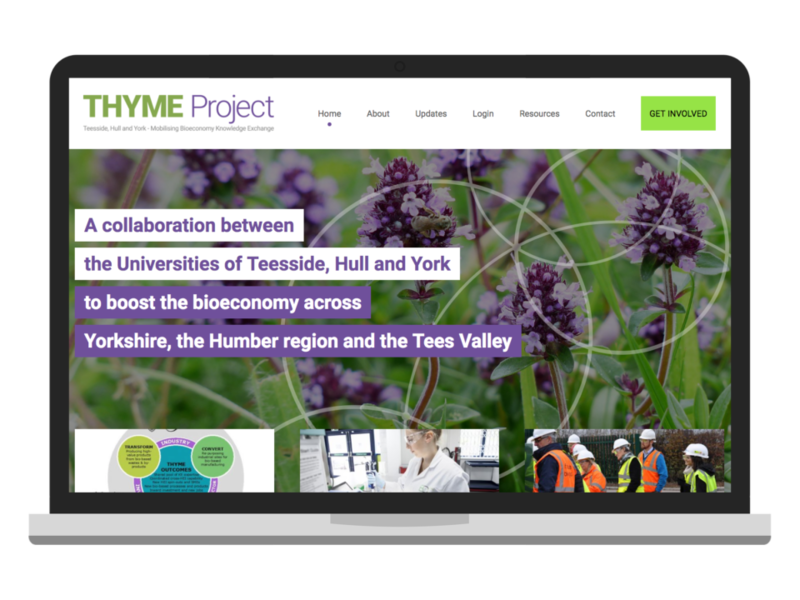 The THYME Project is a new academic network intended to boost the bioeconomy in Yorkshire, the Humber, and the Tees Valley. 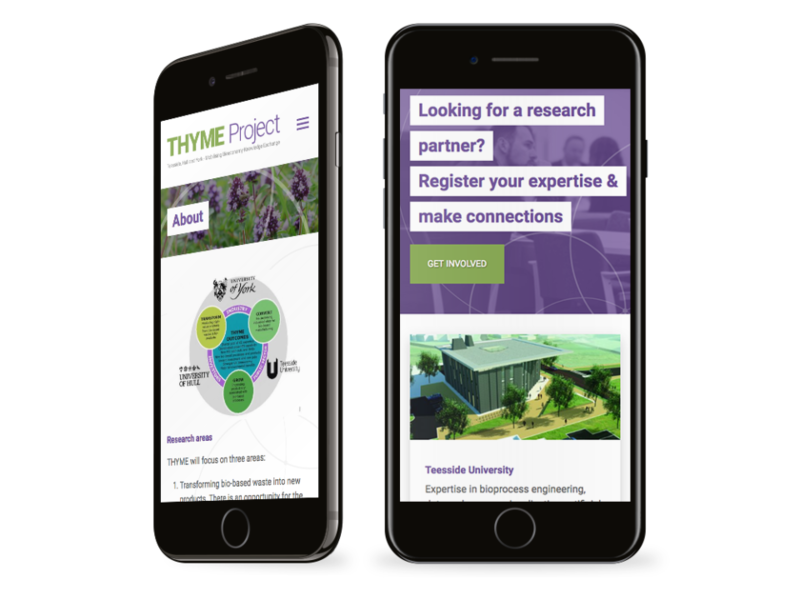 We were asked to design and build a website to provide information about the project and allow researchers, academics, and industry representatives to get involved. The resulting website provides an attractive design, clear access to information, and a complete network membership system. 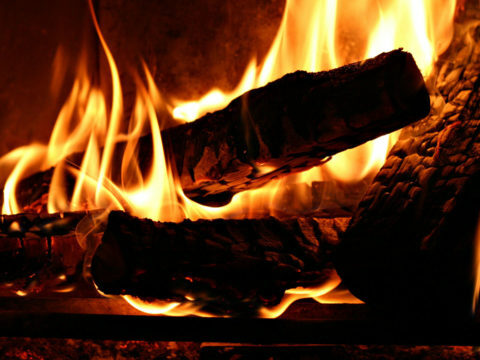 New members can sign up directly from the site, subject to administrator approval, and are provided with access to exclusive information about the project and its other members. We used WordPress to manage content and user accounts, providing a solid and reliable foundation for the website. 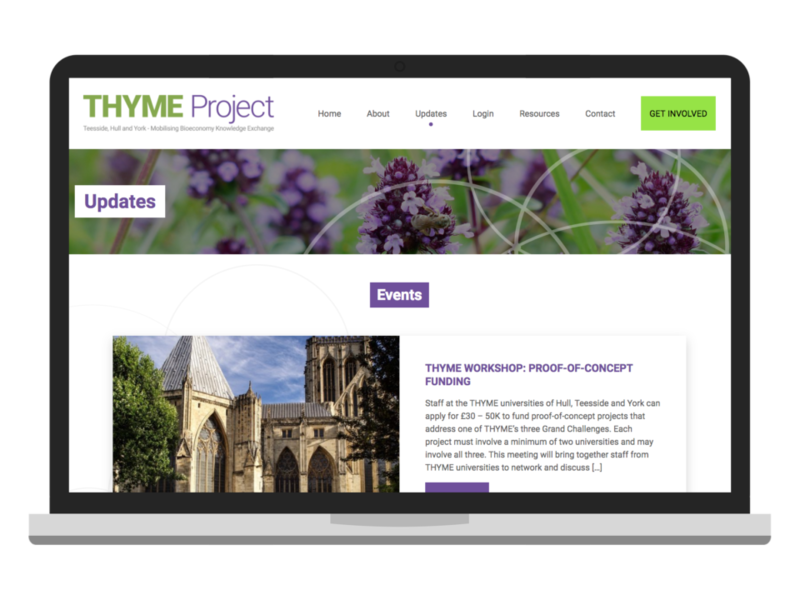 The design and the code of the custom theme used on the site are entirely bespoke, allowing us to build a system perfectly tailored to the needs of the client and the members of the network.